The Thousand Orcs Due Out In October! 09/01/02= R.A. Salvatore's new series dedicated to Drizzt Do'urden will be kicking off on October 15, 2002!! 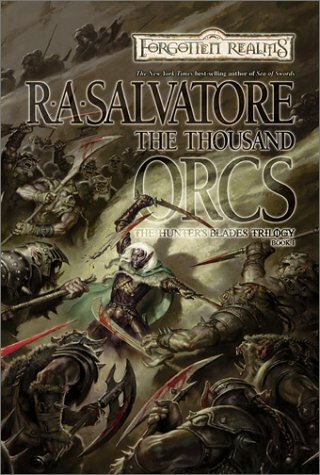 The first book in the new "Hunter's Blade's" trilogy is called The Thousand Orcs and should be centered mainly around Drizzt. It will be the first Drizzt book released in close to a year. Will The Thousand Orcs Be Better Than Sea Of Swords? Yes, it will be a great book! No, Sea Of Swords was awesome! Last poll: Who Would Prevail In Battle? Buy it now at any participating bookstore.